From 1934 to 1980 it was a Dispensary having only OPD facilities. 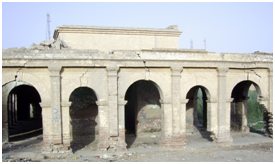 1980 the Dispensary became Taluka Hospital. 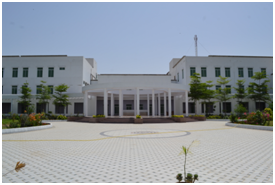 By the efforts and devotion of Dr. Rahim Bux Bhatti, Medical Superintendent, in 1997 THQ was declared a MODEL TALUKA HOSPITAL by MSU World Bank. 10th September 2003 Honorable Governor Sindh announced upgrade Gambat THQ to PIR ABDUL QADIR SHAH JEELANI INSTITUTE OF MEDICAL SCIENCES and came under administrative control of Sindh Province. 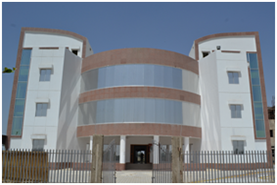 In 2005 project was approved to strengthing PAQSJIMS and to start Medical College. Due to tireless efforts of the Director and his team over the last several years. PAQSJIMS was finally upgraded to Self Degree Awarding Institute. The act was passed on12th April 2011. Honorable CM Sindh announced PAQSJIMS as “INDERPENDENT DEGREE AWARDING INSTITUTE”. Finally Higher Education Commission of Pakistan recognized and honored “NO OBJECTION CERTIFICATE” to this institute on 31st March 2015, Notification: No. 15-18/HEC/A&A/2011/606 Date: March 31, 2015. This budding Institute is progressing on its strong medical grounds. It will soon find its name among the high ranking Institutes of the country based on its performance, especially transparent admission process and vigilant examination department. The university is in the process of expansion and very soon new faculties will be added to it.